The offseason in the state of Goa means that rains are aplenty and tourists are few, yet there are crowds who know exactly what they are looking for. These are the people who come with a single idea in mind to enjoy the rains and indulge in water sports. Even though Goa is famous for its many beaches and all-around pleasant weather, the monsoon is somewhat avoided by tourists. But it is during this time that activities such as white water rafting and sailing are the most fun activities you could think of. 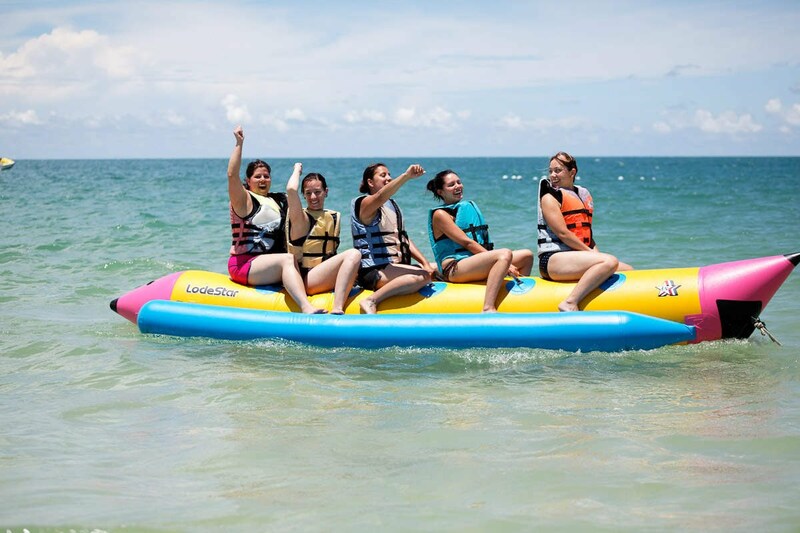 Atlantis offers some of the best packages for monsoon activities and is one of the best organisers of water sports activities in the entire Goa. The group is known for the safety measures they take and the experiences they offer. Here, we take a look at two activities which are very popular amongst monsoon tourists and also make a case convincing you to come along for the ride. By far the most peaceful and joyous monsoon activity is kayaking. This activity is done on the backwaters of Goa. An instructor will be there beforehand to help you understand how to use a kayak, important safety instructions, manoeuvring, seating, and paddle handling. With this in mind, you can enjoy a very calm and quiet trip across the waters and witness a side of Goa very few tourists get to see. During your trip, you can see many exotic birds, some beautiful sights of mangrove forests and such. Apart from this, you can also see the sun setting on the beautiful waters. There are also kayaking escapades done on the rivers of Goa and can be a good way to spend some quality time with a loved one. With the team from Atlantis at the helm, they ensure that your monsoon water sports in Goa experience is second to none and also ensure that no mishap occurs during the trip. For those of you looking for something a little more exciting, rafting is the way to go. There are many locations in and around the state which has steep falls and rises; making it the perfect setting for some action-packed rafting. This is a very fast-paced sport, which requires the highest of safety precautions and fortunately,the Atlantis team takes all the necessary measures prior to the start of your adventure. You can also take up your grade of difficulty depending on your level of experience. This means that you can go from a simple rafting experience to something a bit more rushing and exciting. This is an activity done only during the monsoon months, so if you have always wanted to do it, now would be the time. It makes for a good opportunity for you to kill two birds with one stone, indulge in some river rafting in Goa and unwind and relax during your trip. The monsoon in Goa is an experience in and of itself, so if you are looking for something of an offbeat adventure, this is the way to go.